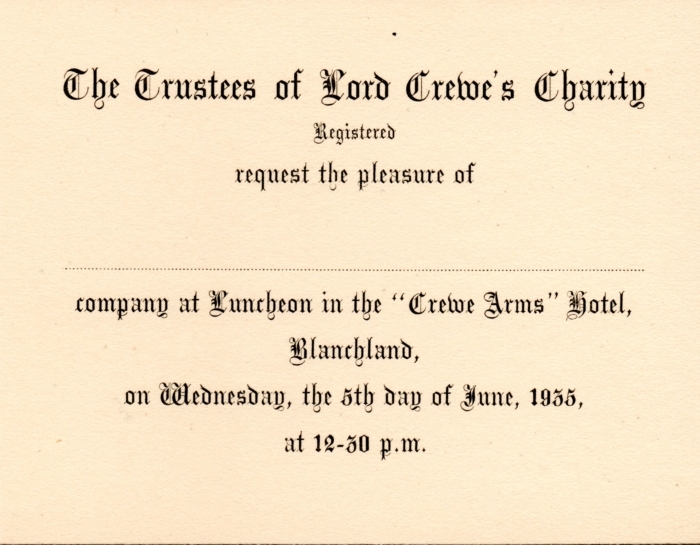 The Charity will be celebrating its Tercentenary and the genersity of Lord Crewe in his will in 2021. We are expecting to be running a range of events and other activities in that year. 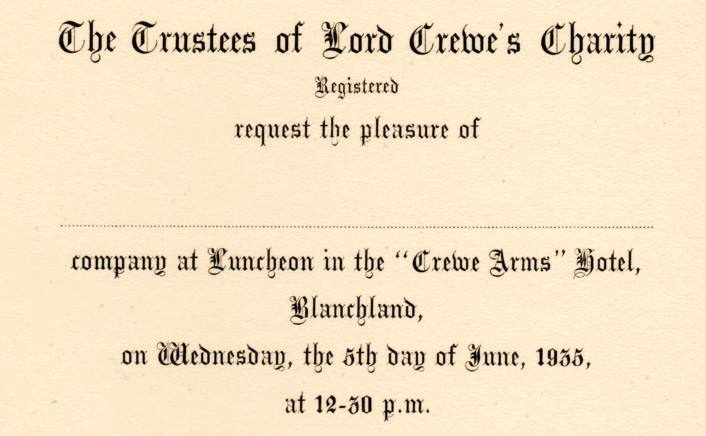 You might like to make a note of the date for the service of commemoration and thanksgiving for Lord Crewe and the work of his Charity over these three hundred years which will take place in Durham Cathedral on Saturday 18th October 2021.